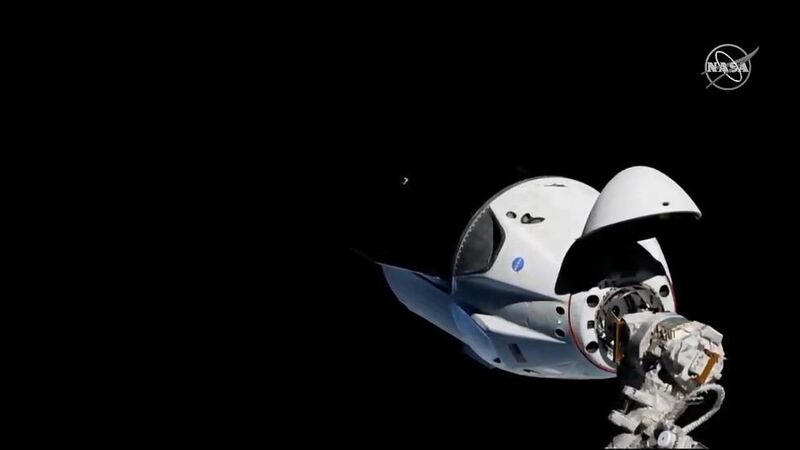 Right on schedule, the Crew Dragon spacecraft fired its Draco thrusters early on Sunday morning and docked safely with the International Space Station. A "soft" capture came at 5:51am ET, when the station was 418km above New Zealand. "Hard" capture, when 12 additional latches secured the spacecraft to the station, occurred 10 minutes later. This marked the completion of a major milestone for SpaceX and NASA—the autonomous docking of a Dragon spacecraft with neither the assistance of crew on board the station nor the robotic arm used to grab and guide the cargo version of the Dragon spacecraft during supply missions. Speaking on the space agency's webcast shortly after the capture, NASA astronaut Bob Behnken noted the smoothness of the operation. "It’s one more milestone that gets us ready for flight," he said. Behnken, along with fellow astronaut Doug Hurley, will fly the first crewed mission of the Dragon spacecraft later this year (or early in 2020).